Let it Snow, Let it Snow, Let it Snow - Ward and Smith, P.A. Many property owners' associations across North Carolina are faced with the annual challenge of clearing snow and ice from the community's roads, sidewalks, and other common areas. Assuming there is no specific guidance in the community's governing documents, what is a property owners' association's responsibility for clearing snow and ice? How does choosing to, or refraining from, clearing snow and ice affect the association's liability? Likewise, how does the association's insurance coverage affect the situation? This article explores these questions and, through the lens of North Carolina law, offers practical tips for an association faced with these issues during the winter months. What is the Association's Role? There often are misconceptions among an association's members, executive board, and professional management team as to the association's obligations and responsibilities. This misconception is especially true with respect to the issue of snow and ice removal. As discussed below, there is no default rule that an association is responsible for snow and ice removal, but good faith arguments can (and often will) be made that it is, in fact, a responsibility of the association. 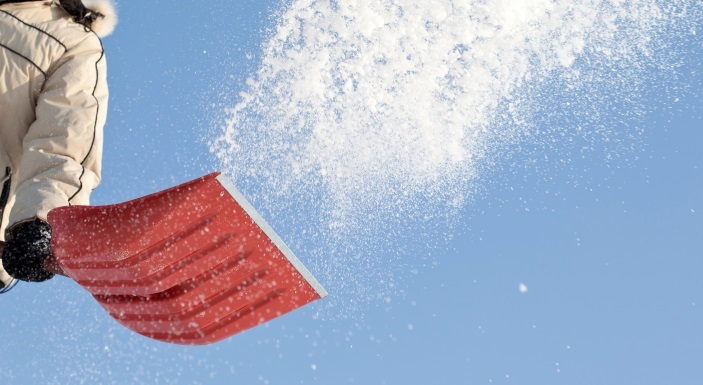 An association should be prepared to either plan for, and accept, the additional responsibility that comes with taking on snow and ice removal, or it should be prepared to head off and rebut any arguments for why it has not taken on the responsibility, especially after an accident or injury has occurred. Typically, members of a property owners' association have an easement across all common areas, particularly roads and sidewalks. Members could plausibly argue that the property owners' association's failure to maintain the common areas, i.e., clear snow and ice, impedes the right of access to and from their properties. This argument is buttressed by the fact that members do not have the independent right or authority to clear snow and ice from common properties. What is the controlling authority? As a general rule, an association should look first to its governing documents (primarily its declaration of covenants) to determine any of its obligations. The association should then look to requirements imposed by North Carolina law governing the particular community, its past practice, and insurance coverage or lack thereof. Unfortunately, the governing documents of the owners' association rarely deal with the specific issue of snow and ice removal, often only providing general guidance such as "the association is responsible for maintenance, repair, and replacement of the common areas." Similarly, the North Carolina Planned Community Act follows that same pattern and generally addresses common area "upkeep," but does not specifically address snow and ice removal. 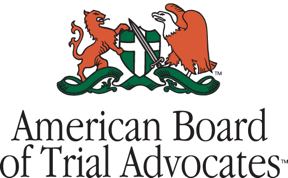 Past practices of the association may be instructive as to members' expectations and the likelihood they will challenge the Board of Directors on its decision, even if past practices do not legally lock the association into a certain course of action in the future. However, if the association is changing its policy regarding snow and ice removal, its best to get out in front of the issue by notifying the membership immediately. • Liability concerns and the corresponding insurance coverage issues. In almost every case, the association is the owner of the common elements (condominiums are the exception) and as a land owner does owe members, tenants, and guests certain duties. But what duty does it owe to keep its common property free of snow and ice? There are two lines of cases in North Carolina regarding snow and ice removal and the liability of owners. One line of cases espouses a rule of law that a land owner is under no duty to protect a visitor against dangers either known or so obvious and apparent that they reasonably may be expected to be discovered. The second line of cases holds that if a reasonable property owner could anticipate an unreasonable risk of harm to a visitor on the owner's property, then, notwithstanding the visitor's knowledge of the danger, or the obvious nature of the danger, the land owner has a duty to take precautions to protect the visitor. However, the North Carolina courts have consistently held that "icy, snowy, and wet and slick" conditions fall within the first line of cases above, not the second. There do not appear to be any published North Carolina cases in which associations have been successfully sued because they failed to take steps to remove snow and ice from common property. This is likely because snow and ice present dangers apparent to any reasonable person and thus fall within the first rule of law stated above. If an association knows of some spot on its common area that has an increased tendency to ice over with black ice because it does not get enough sun or because there is "weeping drainage" from adjacent land that would not be obvious to a third party, it may be possible that a court would apply the second line of the cases above and a jury could find the association liable for any damage or personal injury. But it would appear that in the overwhelming majority of situations, the association is not going to be held liable if a member, guest, or tenant is injured on common property because of icy or snowy conditions, where such conditions are obvious and apparent. If the association is exploring having individual property owners take responsibility for clearing snow and ice, the association should be mindful of connected legal issues, such as indemnification for accidents that may occur after the clearing, damage to the common property by a member or the member's contractor, and recovery for payment of expenses. A careful review of the association's general liability insurance policy is also important. The policy may exclude coverage for accidents that result from snow or ice. On the other hand, the association may receive insurance benefits for affirmatively addressing snow and ice issues. If there is no obligation for the association to clear snow and ice, but it is considering doing it anyway, the association should be very mindful of accidents that may occur after it has performed the clearing. This caution is necessary because an argument could be made that the association has assumed the duty of maintaining the roads in a certain condition, or that the clearing resulted in damage or injury that would not have occurred if the association had done nothing. For example, creating a patch of "black ice" where uncleared snow would have not created a problem. As always, a property owners' association's declaration of covenants is paramount in determining the association's obligations to its members, but the association's past actions and insurance policies also impact its decision whether or not to undertake snow or ice removal. On the other hand, an association can take comfort in the fact that as the law now stands in North Carolina, it is under no duty to protect its members, tenants, and guests from obvious and apparent dangers, such as snow and ice. © 2019 Ward and Smith, P.A. For further information regarding the issues described above, please contact Adam M. Beaudoin or Allen N. Trask, III.